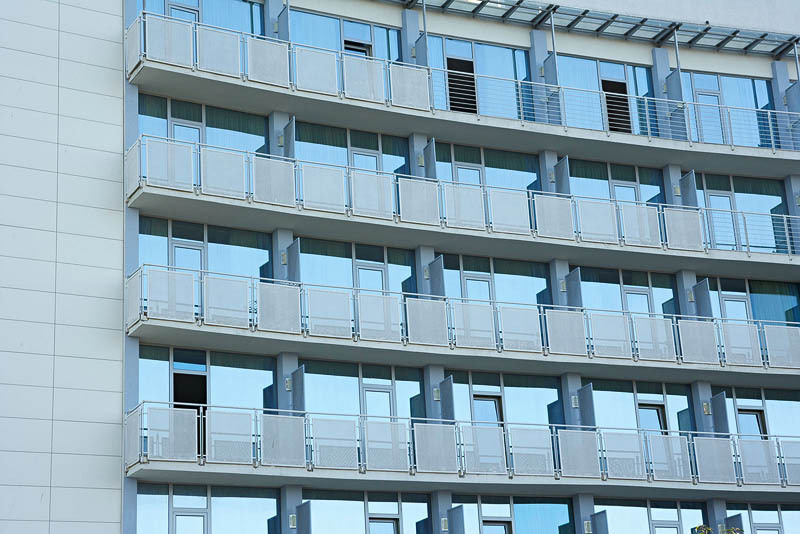 Exterior look of building with big windows and terraces. Outside appearance of hotel with blue facade. Architecture structure.